Set of 2 Reflective "DO NOT PET" Velcro Patches for Service dog harnesses & vests. 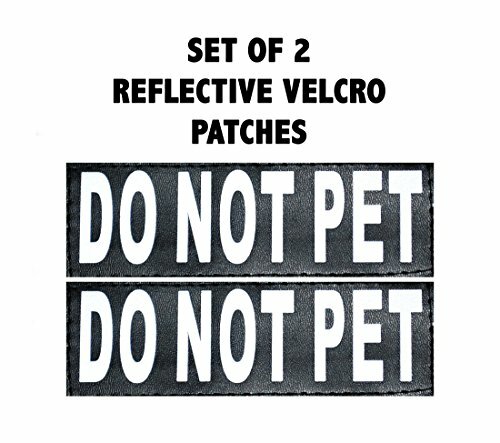 Size: -- Choose Size -- Large 6" X 2" Medium 4" X 1.5" Small 3"x1"
Set of 2 Reflective "DO NOT PET DOG" Velcro Patches for pet dog uses & vests. 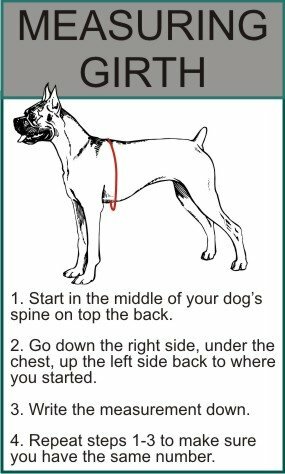 Velcro Makes It Easy to Adjustment. 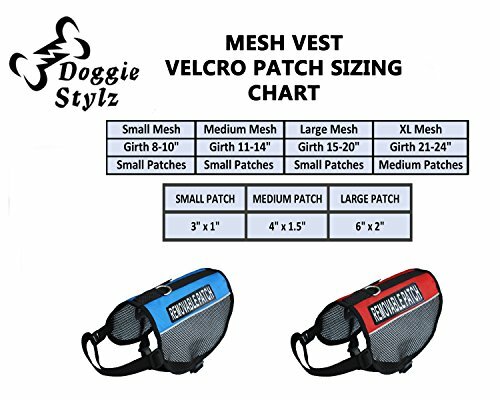 For any type of Vests With Velcro Loop Material. These Patches Have Velcro Hook Material On The Back. 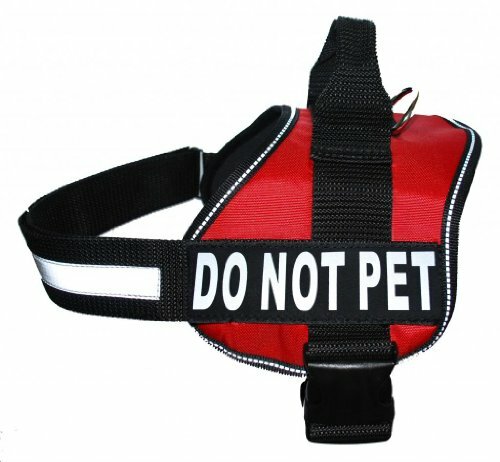 Reflective Material Aids Maintain You And Your Dog Safe during the night. Unlike Embroidered Patches There are no Threads to Snag and Damage. Printed Lettering is Easy To Clean.